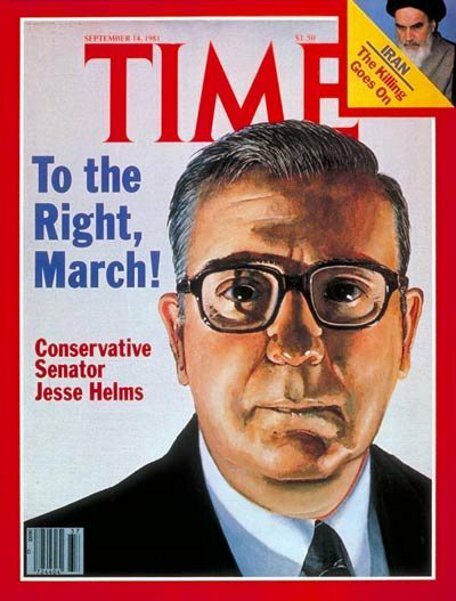 One of the most acclaimed conservative politicians of the twentieth century was North Carolina Senator Jesse Helms (1921-2008). Helms’ career, which started in journalism, later took him to the United States Senate where he was a Senator for thirty years with six of those years as the Chairman of the powerful Senate Foreign Relations Committee (1995-2001). Helms had a reputation as a conservative curmudgeon, striking down liberal legislation and sometimes even opposing legislation favored by his fellow Republicans. These actions, and others, earned Helms the pejorative “Senator NO,” a pejorative he carried as a badge of honor. But just how conservative was Jesse Helms? This essay will review the controversial senator, with an analysis of Helms’ conservatism provided. Helms was born in Monroe, NC in 1921 in what he considered an apolitical family. However, while not from a political family, Helms’ values came from roots that were rural and middle class. He did not take politics seriously until he began dating the future Mrs. Helms, Dorothy Coble. While courting Dorothy, Jesse would listen to his future father-in-law talk about politics. Later, Helms began taking a greater interest in current affairs and like his future father-in-law, began to form as he called them “strong views” on various matters of policy. After World War II, where Helms served in the Navy, he returned to North Carolina to begin his career in politics in 1950, when he worked on the campaign of conservative Democrat Will Smith in his run for one of the state’s U.S. Senate seats. Smith won, beating out incumbent liberal Senator Frank Porter Graham who held the interim position. Since Smith won, Helms went with Smith to Washington and served as an aide until Smith died unexpectedly in 1953. While in Washington, Helms also aided in the campaign of incumbent Senator Richard Russell, a leading southern Democrat senator and conservative. After Smith’s death, Helms returned to Raleigh; later he ran for a seat on the Raleigh City Council where he won, serving from 1957-1961. In 1960, Helms took up at WRAL TV (he had earlier worked for WRAL radio) as a vice president. While at WRAL, Helms would do a nightly commentary. His commentaries were famous throughout eastern North Carolina and provided Helms the opportunity to hone his conservative principles in writing and speaking. As Helms put it, “the first topics we got into were the value of self-reliance, the virtue of limited government, and the danger of Communism.” Helms stated that other issues they took on included the state education, income taxes, race relations, the Vietnam War, federal debt and the Great Society. Helms said, “we stood against tyranny in government and for liberty.” He was popular enough that he was able to run for city council again and win. Until 1970, Helms had been a registered Democrat, supporting the conservative candidates of that party. However, in 1970, he switched to the Republican Party and two years later would run for the US Senate seat, the seat once held by Willis Smith, making Helms the first Republican to hold a Senate seat in North Carolina since 1903. 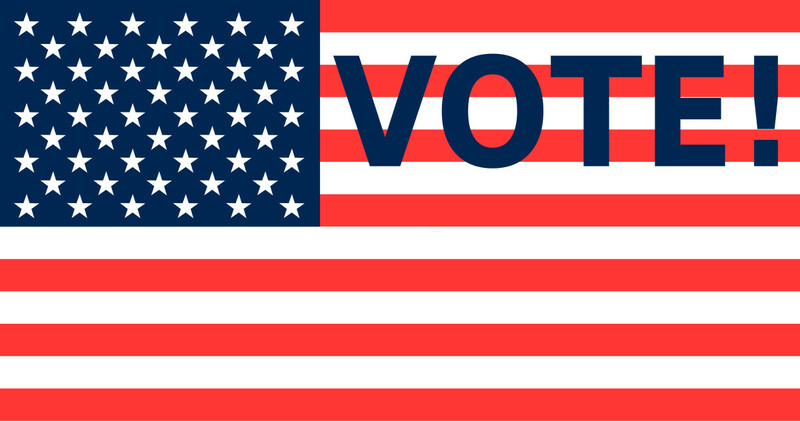 Helms would go on to win four more senate races, most of them close races. Helms’ race in 1984 against North Carolina Democrat governor Jim Hunt was the most expensive Senate race to date. While in the Senate, Helms was a formidable politician, often standing alone for conservative causes, earning him the pejorative “Senator No.” Even though the Senate was in the hands of liberal Democrats for the first part of his Senate career, Helms was a senator that was difficult to ignore. When Republican Ronald Reagan won the presidency in 1980, the Senate also came under the control of the Republicans, albeit briefly. As the “Reagan Recession” became unpopular, voters took it out on his party, returning the Senate to the Democrats in 1982. 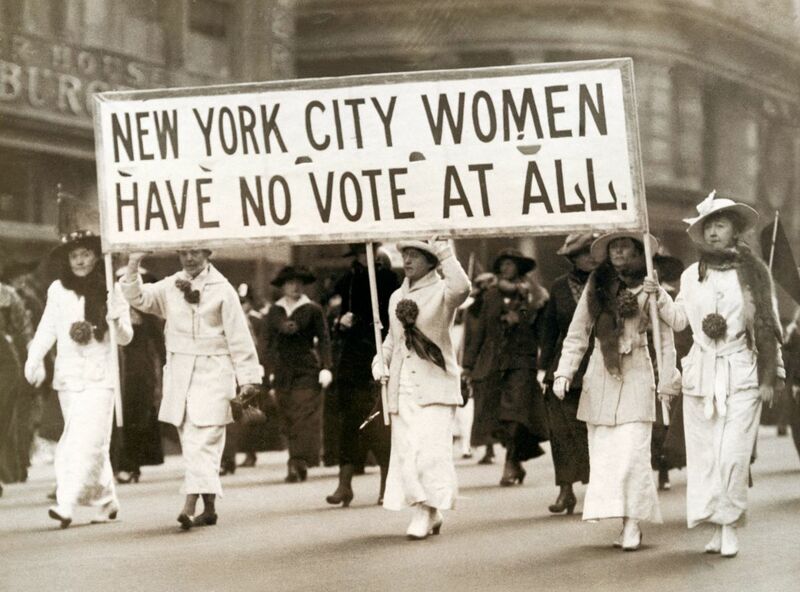 Helms would have to wait another twelve years before the Republicans would control the Senate again. In 1994, the Republican “Surge” brought the Republicans in as the majority party, which had not happened in the last 40 years. Because Helms was the senior Republican on the Senate Foreign Relations Committee (SFRC), he was made chair and served in that position until 2001. While on the SFRC, Helms was noted as a fierce anti-communist and for his opposition to the UN. Helms has long been acclaimed as one of the consummate conservatives of the twentieth century. 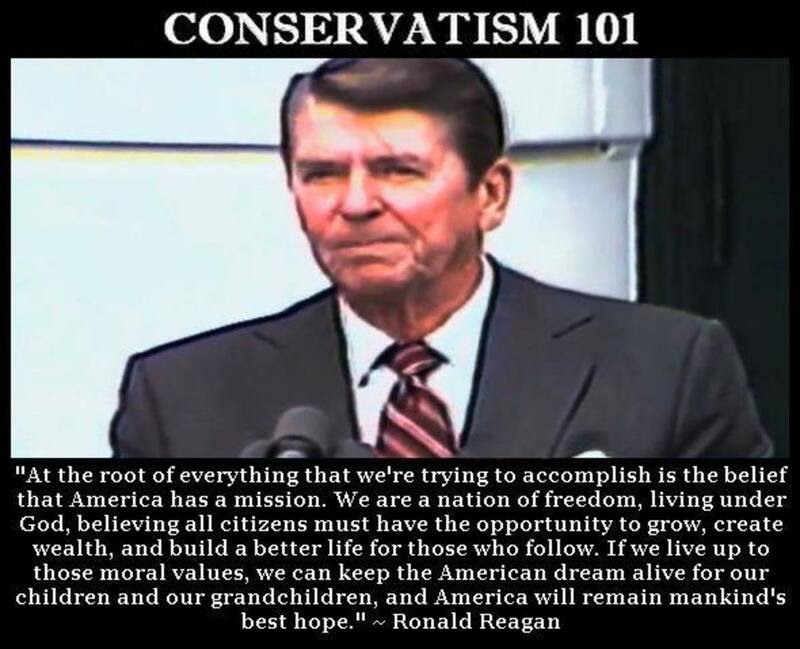 But what is a conservative? In their text on ideology, Ball and Dagger distinguish between the “individual conservative” and the "traditional conservative." The individual conservative wants to “reduce government spending, particularly for social welfare, and give the free market a free rein, in economics if not in moral matters.” The more traditional conservative wants government restraint in moral matters. It is here that the more modern individualistic conservative clashes with the more traditional variety. 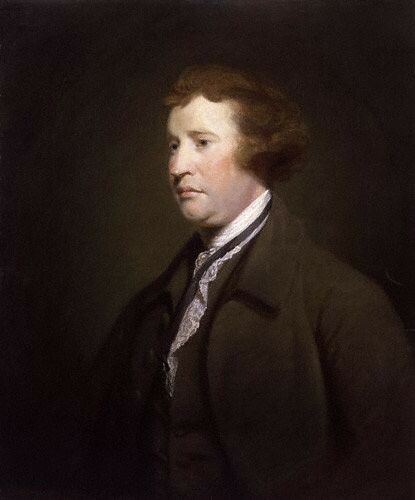 According to Edmund Burke, considered the granddaddy of conservative thought, freedom cannot be the freedom to be immoral so the government can regulate such matters as gambling, abortion, and prostitution. Helms was the archetypical Burkean (or "traditional") conservative in this sense. He was strongly prolife, for example, attaching several prolife riders to Senate bills. Also, he opposed gay marriage and advocated a “moral foreign policy” that would promote American strength with the values of freedom and opposition to communism. Regarding his conservatism, Helms said, “Broadly speaking, people who think we need less government instead of more are called conservatives. Those who want as much as they can get are called liberals. I’m a conservative…” He went on to say that the “hallmark of conservatism” was “a…respect for the worth of every individual.” So, in the area of economics, Helms embraced the values of the “individual conservative” that Ball and Dagger spoke of; but in the area of morality, Helms was a traditional conservative, in the Burkean tradition. 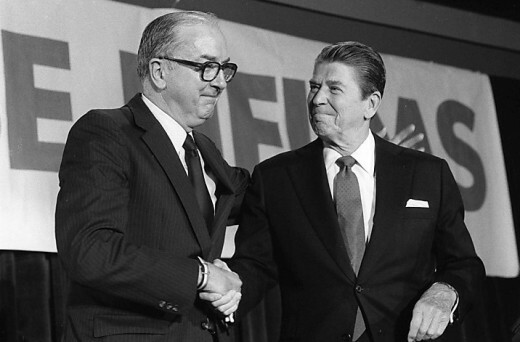 Jesse Helms strongly identified with the conservatism of Ronald Reagan. Both men would leave their party when it was not popular to do so. Helms said that when he went to Washington in 1972 “all of the conservatives on Capitol Hill could have comfortably toured the city in a minivan.” Also like Helms, Reagan would work out his conservatism while writing and speaking. Both eventually became solid communicators of conservative principles, although Reagan was more adept at it given his background in sportscasting and acting. And, like Helms, Reagan had been a Democrat, although Reagan’s disposition was toward liberalism and only converted to conservatism later. It appears, however, that Helms’ natural political instincts were conservative. What Do You Know About Jesse Helms? Take the Quiz! One of the features of a conservative according to Ball and Dagger that unites both traditional and modern conservatives is their opposition to communism. Jesse Helms was an ardent anti-communist, strongly supporting Ronald Reagan’s commitments to oppose communism and Jimmy Carter’s attempt to appease the Communist Chinese when Carter revoked the mutual defense treaty with Taiwan of 1954. Helms praised the codification of US support for Taiwan with the Taiwan Relations Act (1979). In their treatment of the conservative ideology, Ball and Dagger note that conservatives are more likely than liberals to believe that private morality has social ramifications, that not all immoral actions can be protected under a cloak of privacy. Helms certainly held to this view as was evident in his criticism of both Bill Clinton and Teddy Kennedy for their private antics. Helms would serve five terms in the US Senate, often running close races for reelection. Helms retired from the Senate in 2002 and died on the fourth of July six years later. Helms' legacy as a statesman and defender of conservative principles continues on. Jesse Helms, Here’s Where I Stand: A Memoir (New York: Random House, 2005), 45. Steven Holmes, “Jesse Helms Dies at 86; Conservative Force in the Senate,” The New York Times, July 5, 2008, accessed June 30, 2013, http://www.nytimes.com/2008/07/05/us/politics/00helms.html?ref=jessehelms. Terrence Ball and Richard Dagger, Political Ideologies and the Democratic Ideal, Sixth Edition (New York: Longman, 2006), 107. Ronald Reagan, quoted in Helms, 102-103.